Philippine Embassy in Canada conducted Post Arrival Orientation Seminar today October 21, 2018, at Ruby Foo’s Hotel in Montreal, Quebec, Canada. The seminar was done in response to the question, What you expect when you are in Canada? The orientation was intended for various Filipino leaders in the community. To provide relevant information to allow each one capable to extend assistance with each organization’s members and fellow Filipinos who may have arrived recently in the city for employment or to migrate. The orientation seminar activity started with at 1:30 pm with a Registration. Philippine Ambassador to Canada Hon. PETRONILA GARCIA welcomed the attendees of more or less 50 people, mostly officers and members from few Filipino-Canadian organization located in Montreal. An Introduction to Quebec Labor Laws was the first topic given by an invited person Mr. Andrew Cleveland, Esq. First Secretary and Consul MS. GREG MARIE CONCHA-MARIÑO presented and explain the Consular Services of the Philippine Embassy. Deputy Chief of Mission MR. FRANCISCO NOEL R. FERNANDEZ III discussed Introduction to Human Trafficking where Trafficking in Persons Vs Human Smuggling was thoroughly explained citing instances that call red flags. Ms. Evelyn Calugay, Coordinator of Pinay in Montreal added information on some recent labor cases in Montreal and presented their organization’s present campaign and achievement. Few questions were raised during the seminar more particularly in the consular services provided for Filipinos in Canada by the embassy that concern more on legal aspect for documents like in Civil Registry such as Reporting of birth – Filipinos born in Canada for Filipinos married to either Filipinos or Canadian nationals; Report of Marriage and Report of Death; Dual Citizenship; Other Consular Services such as NBI Clearance, Certificate of Appearance – for SSS, GSIS and others; and Assistance to Nationals that includes Repatriation, Coordination with next-of-Kin cases, Determination of whereabouts and Shipment of Remains. Ms. Greg Marie encourages everyone to visit the website http://ottawape.dfa.gov.ph or call the telephone number 613-233-1121 or email letter to embassyofphilippines@rogers.com. One of the participants asks a question regarding the embassy ’s response to call and voice messages left in there on the phone in the office. How often and quick they reply to calls? After her personal experience during the time, she was in a crisis situation and no one callback to her voice message left. The Consul apologized with her misfortune and ensure all calls not unless midnight will be replied as soon as possible. Having more than 30,000 Filipinos residing in Quebec and every year new arrivals identified. CPRM ask Consul Greg if records of statistics on reported arrivals, born, marriages and death is available? The Consul replied that they get their data from Canada immigration and other related agencies. Further clarify also if how much the amount fee for each service to Nationals on Case Monitoring on court cases and on Legal services such as the provision of legal assistance in criminal cases and repatriation? All services given for free to Filipinos said Consul Greg Marie. Another question raised directed to Pinay in Montreal recent labor cases an actual number of cases being catered from last another year until at present? Was there an increase of labor abuse cases? The coordinator said no available data was determined at the moment. MR. JEFFREY P. SALIK – Second Secretary and Consul; and few embassy staff were present too, to assist and made the seminar successful that ended at 5:00 pm. A refreshment was provided to all participants were everyone exchanged conversation and get in-depth clarification on information raised. 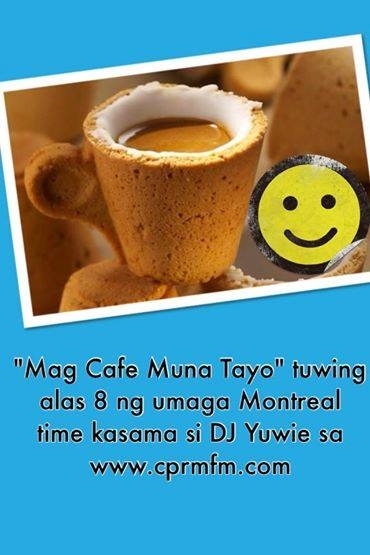 Live coverage of the event was covered by Canadian Pinoy Radio-Montreal which can be viewed in our Facebook Page.